Which are the best economy airlines to the Philippines? Flying to the Philippines sometime soon and want to know the best airline to choose? Find out which are the best of the best economy airlines to the Philippines. First up we have Philippine Airlines, the Heart of the Filipino. And why do we think they deserve the number one spot? Because Philippine Airlines is the only airline offering nonstop flights to the Philippines from the United States. Not to mention that they were recently awarded the title of a World 4 Star Airline by Skytrax. Philippine Airlines flies nonstop from Los Angeles, San Francisco, Honolulu, Vancouver, and Toronto, to Manila. Starting from October 30th, 2018, they will also operate a nonstop route from New York to Manila. You can check two pieces of luggage (50 lbs each), bring one carry on bag (15 lbs), and two personal items (handbag, laptop, etc.). Although now based in Hong Kong, Cathay Pacific originally began as a venture by an American and an Australian pilot in 1946. Cathay Pacific has a worldwide reputation as a high-quality airline and consistently wins airline excellence awards. They are ranked as among the best airlines in the world with a 5-star rating from Skytrax. Named the World’s Best Airline four times in total (2003, 2005, 2009, and 2014), you will definitely have a comfortable flight. Cathay Pacific upholds high-quality standards, like sanitizing every item in between flights (like meal carts, headphones, etc.). They are a great airline for families and provide activity packs for kids. Cathay Pacific flies to Manila with short layovers at Hong Kong International Airport, with departures from Los Angeles, San Francisco, Chicago, New York City, and Newark. You can check two pieces of luggage (50 lbs each), bring one carry on bag (15 lbs), and one personal item (handbag, laptop, etc.). Although EVA Air is a relative newcomer as one of Asia’s major airlines (1989), they have quickly risen through the ranks. EVA Air received the ranking of the 3rd most loved airline by Skytrax in 2016 and is also rated as a 5 Star airline. EVA Air was named the fifth best airline in the 2018 World Airline Awards! When you fly with EVA Air, you have the chance to fly in some of the coolest airplanes around! They have several special liveries (the colors or designs on the airplane) including Hello Kitty. Their specially painted Hello Kitty jets are so popular that there are currently seven unique designs flying around the skies. Not only is the outside of the airplane decorated, but you will find little touches throughout the interior as well! EVA Air flies to Manila with layovers at Taiwan Taoyuan International Airport, with departures from Los Angeles, San Francisco, New York City, and Seattle. You can check two pieces of luggage (50 lbs each), bring one carry on bag (15 lbs), and additional personal items (handbag, laptop, etc.). Since 1969, Korean Air has been the flag carrier airline for South Korea. Korean Air aims to provide “Excellence in Flight”, which is a coming together of operational excellence, innovative excellence, and service excellence. Korean Air’s economy has very roomy seats (for legroom in economy class) with approximately 17.2” wide seats and 34” between your seat and the seat in front. Aircraft installed with their so-called “New Economy”, have seats that are 18” wide. A 4 Star Airline rating by Skytrax means a great flight for you. If you would like to try some Korean cuisine, you can choose their traditional Bibimbap inflight meal. The other choices include an international meal, and of course the special meals, such as for vegetarians. Don’t forget to keep your boarding pass from Korean Air, you can use it to get discounts in Seoul! Korean Air flies to Manila with short layovers at Incheon International Airport in Seoul, with departures from Los Angeles, San Francisco, Las Vegas, Seattle, Dallas, Houston, Chicago, Washington, New York City, and Atlanta. You can check two pieces of luggage (50 lbs each), bring one carry on bag (25 lbs), and one personal item (handbag, laptop, etc.). Asiana Airlines is the second largest Korean airline. They share their hub Incheon International Airport with Korean Air. With a 5 Star rating from Skytrax you know you will be in good hands. Asiana is another favorite for those who like legroom, with an average pitch of 33-34” in economy class. Experience great service and home comforts like toothbrushes and toothpaste available for overnight flights. Receive your own kit with an eye mask, earplugs, stationary, and a basic medical kit. Choose from a traditional Korean Bibimbap meal or the Western cuisine meal. Asiana Airlines flies to Manila with layovers at Incheon International Airport in Seoul, with departures from Los Angeles, San Francisco, New York City, Chicago, Seattle, and Atlanta via New York. You can check two pieces of luggage (50 lbs each), bring one carry on bag (22 lbs), and one personal item (handbag, laptop, etc.). Looking for a little bit extra on your next flight? Asiana Airlines delivers a premium economy experience known as Asiana Airlines Economy Smartium. Not only are these our top picks for the top airlines to the Philippines, they are also our customers’ favorites. To get the best flight deals to the Philippines with the best airlines, you need to contact an expert travel agent. 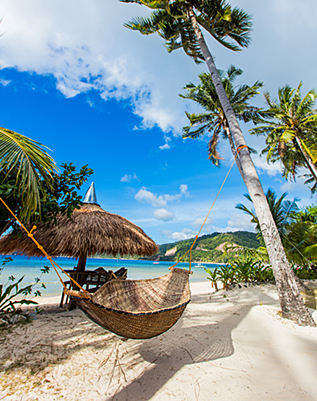 At ASAP Tickets our travel agents organize thousands of trips to the Philippines each year. Save your time and money by trusting your flight booking to experts. Find out how to book flights to Manila here. Call us now at 844-300-7983 to get your very own dedicated agent and experience savings up to 50%* off with unpublished airfares. And make sure to join the Facebook Group – Flight Deals to the Philippines – to never miss a hot flight sale again! Need price quote for a R/T ticket for Los Angeles – CEBU – Los Angeles. 1- R/T ticket leaving around Nov 5th, return on 3rd week Jan 2019. 1 -R/T ticket leaving around Nov 5th, return on 3rd week Mar 2019. Thanks, Alfredo, an agent will be in touch with you soon! What about reverse ticketing? Mnl-sfo-mnl? Why do only Americans get cheap flights? Hi! Thanks for your request, I have forwarded it to the agents and someone will be in touch shortly! I need round trip tickets for 2 adults, PAL, upgradeable, depart end November, return end December. Hi Geronimo, please let me know your departure and arrival destinations, or, fill in the form on the right of this page. Thanks! Looking to travel from Ottawa to Cebu in March or April. Flexible with the dates. Thanks Ian, an agent will be in touch soon! I need a price quote from Dallas, TX to Manila ( 2 adults & 2 kids round trip and 1 senior citizen /wheelchair service, 1 way). I prefer one stop, short layover, roomy enough and family friendly. Leaving from Dallas, TX on May 23, 2019 and return on June 9, 2019. Also, please advise when is the best time to purchase airfares. Is it too early to book airfares now or should I wait until March or April to get the best deals?